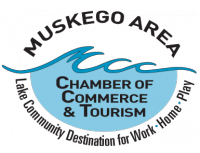 Thank you for your interest in joining the Muskego Area Chamber of Commerce. Please complete the online application and submit your credit card payment and enjoy your Chamber benefits. Check box if you would like more information about the Women's Business Connections group. Check box if you wish to receive email list of new homeowners. Check box if you wish to receive a Plaque for display. Please contact me to set up auto renewal.